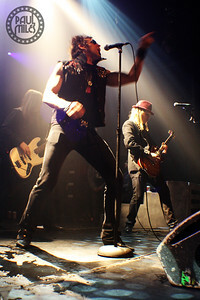 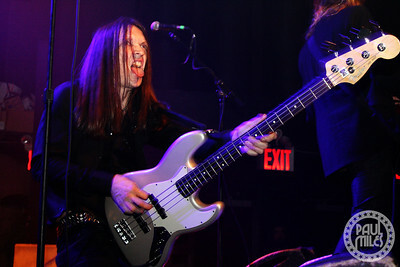 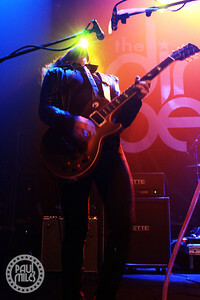 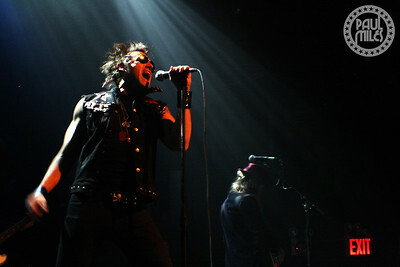 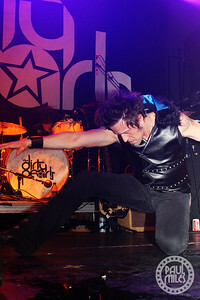 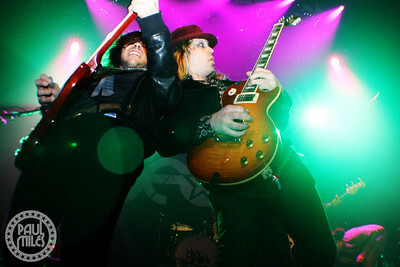 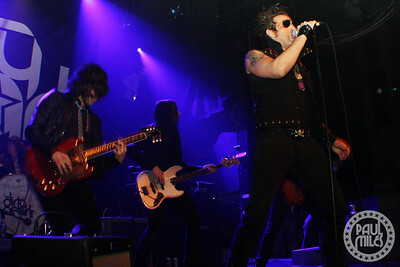 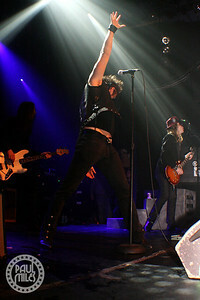 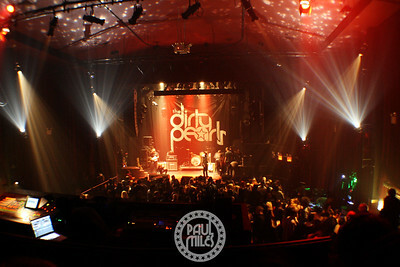 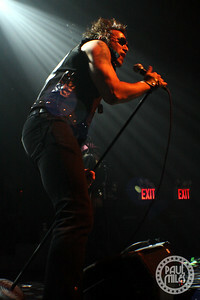 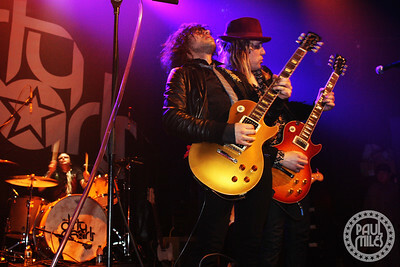 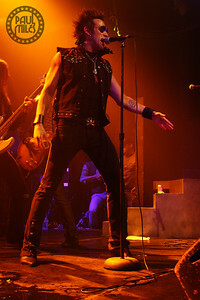 Celebrating the release of their debut album Whether You Like It Or Not, The Dirty Pearls played a sold-out show at New York City's Gramercy Theatre on 5 May 2012. 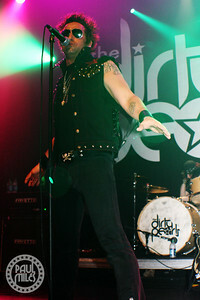 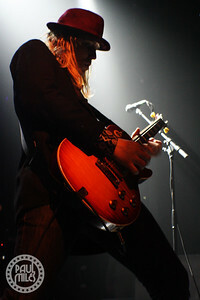 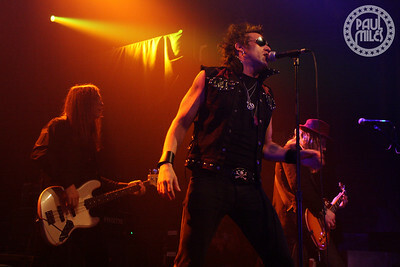 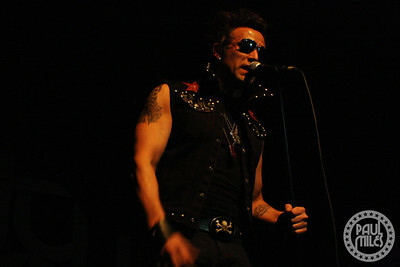 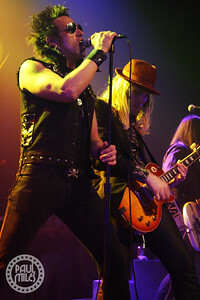 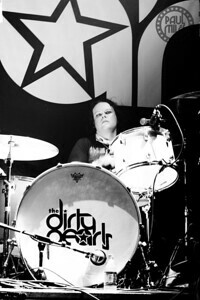 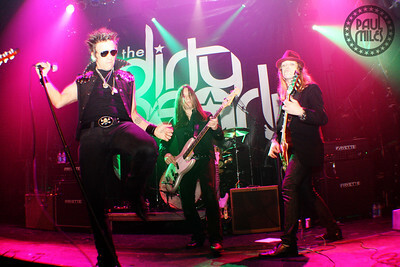 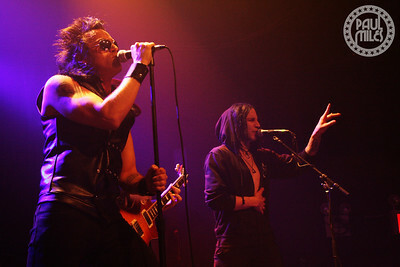 Led by singer Tommy London, along with Tommy Mokas and Sunny Climbs on guitar, bassist Doug Wright, and drummer Marty E. Concussion, The Dirty Pearls entertained the crowd with their catchy, modern hard rock. 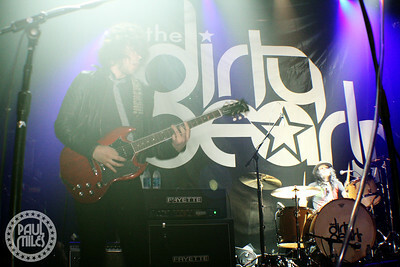 Read my review of the show here at May The Rock Be With You. 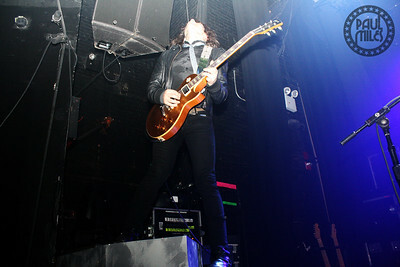 Setting the stage for the packed house. 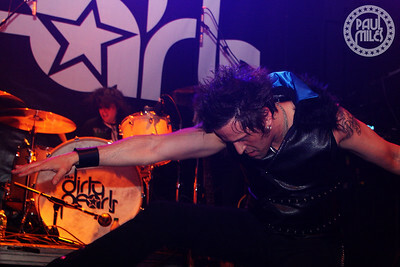 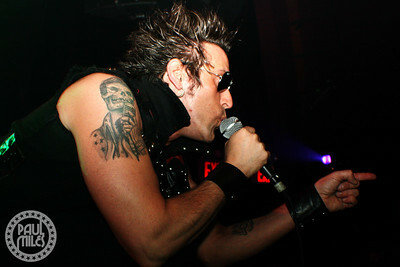 Star Killer singer Jasin Cadic joins Tommy London on vocals for the song Bruises.